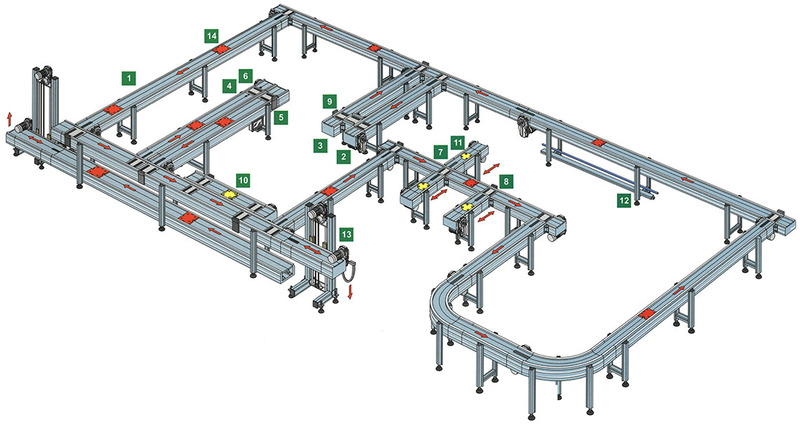 The conveyor is a modular complex for the automatic handling of pallet. It is composed of a special aluminum alloy “bar”, which is modular following the different needs of our customers. All Lammas products are standardized and developed in 3D environment. Sistemas does not involve the use of special tools. It is assembled as easily as a Meccano, that fabulous construction set for children, composed by perforated bars of different lengths that could be bolted together to fashion just about everything. 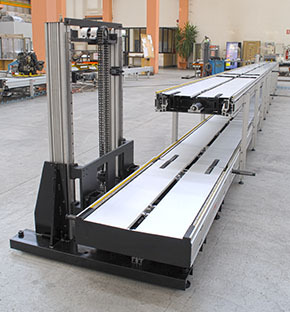 You just need to combine the aluminum profile with plates, nuts, bolts and bocks in order to produce a perfect handling line; the needed components are strictly standard and readily available from the warehouse. 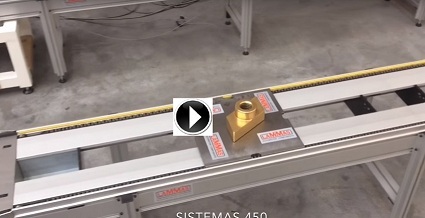 Thanks to Sistemas, any handling line you may envisage is already available. The manufacturing equipment designed and built by Lammas has been adopted in many plants: this is the best insurance for its reliability. Moreover, the construction features of Sistemas enable all mechanical parts and system units to be replaced easily and quickly. The reconfiguration of all the elements that made up your Sistemas is possible thanks to the standard profile engineering principle, the mass production and the modular assembly and disassembly of all its components. All possible variants are quickly available, so the lines can be promptly adapted to all new requirements. These are just a few of the accessories that have been developed and are kept in store to enhance Sistemas versatility. A full range of standard fittings is one of the key factors that make Sistemas the most economical handling system on the market. Rational project design for optimum system versatility is the clinching asset: no doubts can be raised, Sistemas is the best solution for today’s problems and…the cheapest answer to tomorrow’s requirements. Thanks to its modular construction, SISTEMAS can be easily adapted to every kind of need. The bar is made of aluminum alloy, complete with special grooves apt to fasten the different components. 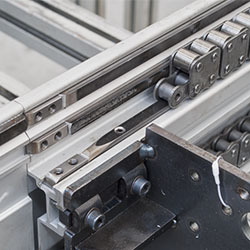 Chain and pallet sliding areas are protected by means of tempered steel guides; the chain is made of special steel, in order to be low-noise. It works through two series of rollers: the first engages the transfer units and the other (with idle rollers) is used for the pallet transport. Aluminum guards ensure compliance with safety regulations and give the line a stylish appearance. The spacers are made of aluminum too and enable the sides of the line to be adjusted to the required width. Motion is imparted to the chains by a gear motor unit consisting of different combinations of electrical motors and reduction ratio. These units are extremely versatile and can handle loads up to 50kg over 1m line section at speeds from 4.5 to 18m/1’. 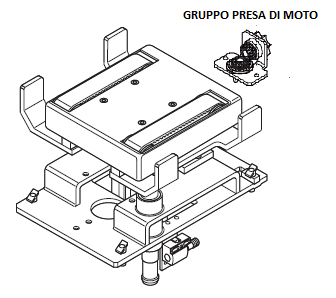 The low noise geared motor unit can be mounted at different angles to the supporting frame. Every head is equipped with a torque limiter in order to prevent problems of accidental stop of the transport chain. This unit is positioned at the opposite end of the line module with reference to the motorized head. 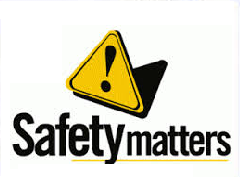 It ensures that correct tensioning of the chain is always maintained without need of manual intervention. The chains are assembled already stretched in order to avoid excessive lengthening. This device stops the pallet in the required position and singles it out. 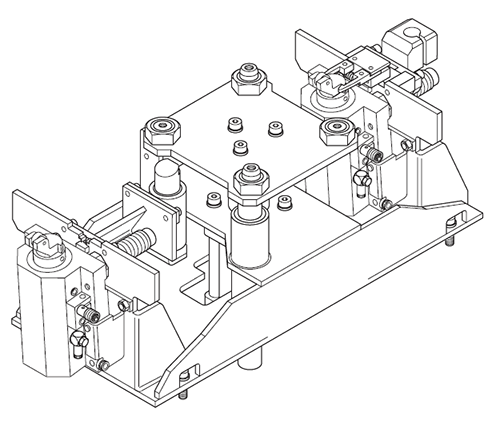 The stop is with a progressive hydraulic damper unit in order to avoid bumps and to give the pallet a gradual stop. The counterstop is assembled on the opposite end and stops the pallet in the desired working location. This device is used to stop and electrically identify the pallet at transfer ends. 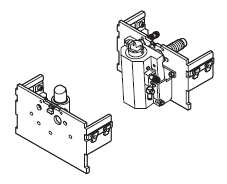 The pallet touch against the stop unit is cushioned by the progressive action of the hydraulic damper unit. This unit frees the pallet from the line guide bars through a pneumatic lifting movement. This enables the pallet transfer from the main line to another set at right angles. 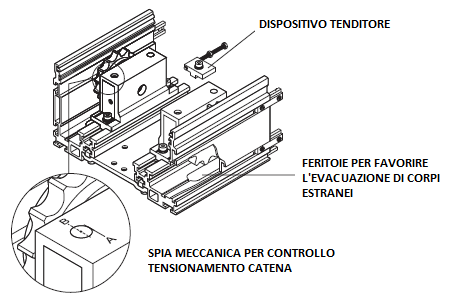 Motion takes place via a device activated on the line chain and transferred to the pallet through a mechanical coupling activated by the vertical lifting movement. The motorized transfer unit enables pallet motion in two directions: it is used to feed lines set at right angles on both sides of a main line. 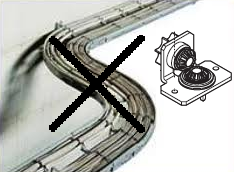 Lateral disappearing stop unit have been employed for pallet return. 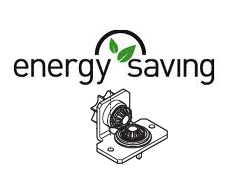 The device is made up of a pneumatically controlled lift unit that takes transfer belts above line bar guides and by a geared motor that supplies bidirectional motion to the belts. This unit is assembled on the main line with the bi-directional function in pallet reception and transfer. In this case, motion is obtained from the chain of the transversal line, which is controlled in both ways. This kind of transfer units used for parallel and spaced lines placed at the same height. The unit is made up of two transfer units assembled on both lines and a connection unit. This device releases the pallet from the conveyor chains and locates it in the desired position at a pre-established height. It is made up of a support structure with guides for the columns that carry the pallet location plate. The device is equipped with a disappearing stop unit with counterstop in order to maintain the position during and after the pallet lowers to the line. 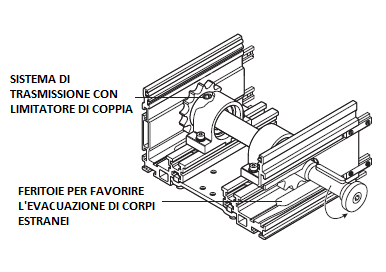 The pallet rotation device is used to rotate the pallet by 90° and 1800°, according to required functions. It consists of a lifting device which raises the pallet to release it from the line and a rotating mechanism. At the end of the operation the pallet is lowered on to the line and the rotating units returns to its initial position. These are the supporting element for the line (either single or overlapped line). The height of the line is leveled and adjusted within 50mm. 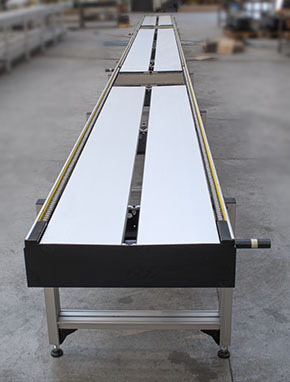 the height of the pallet sliding level ranges from 300 to 1.000 mm. These units are used to transfer pallets from and onto lines set at different heights. They consist of a structure of aluminum completed with guides which convey a shuttle with self-braking geared motor or a pneumatic cylinder, depending on the weights. A complete line section is fixed to the shuttle. During the different stages of working, the components are kept in place by a specially designed pallet. 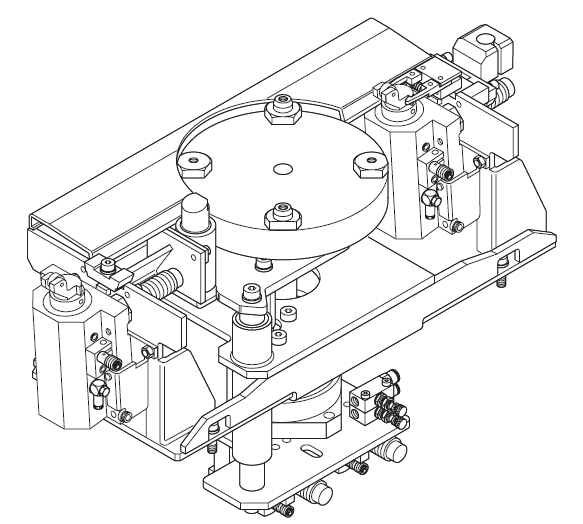 This device is generally squared and supplied with assembly station locating holes. Pallets can be made of steel and others materials, depending on specific functional requirements.